A £100 Million pound development plan, code named the ‘Middlebrook Masterplan’ has been unveiled by Bolton Wanderers owners, Burnden Leisure and the Bolton Arena Trust which runs Bolton Arena. 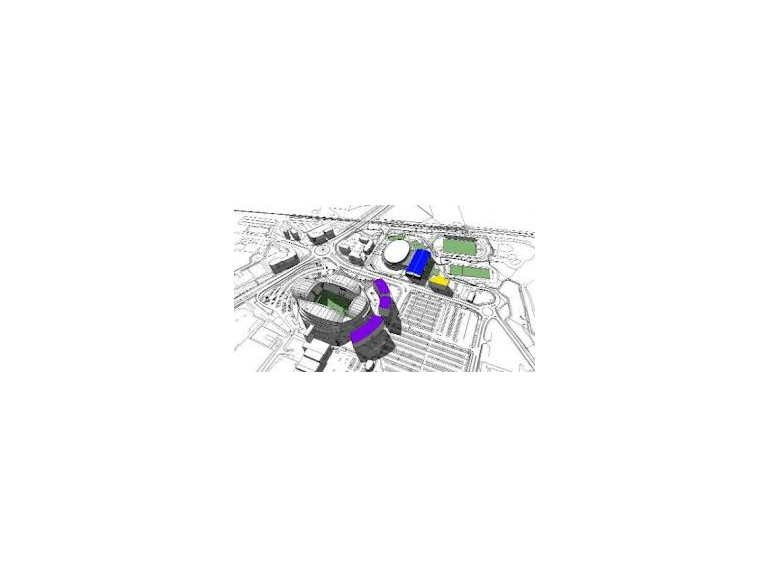 The plans, which are shortly due to be presented to Bolton Councils Planning Committee, will include an extension and reconfiguration of the Bolton Arena Complex and will include the construction of a completely new 105m sports building which will house a full sized football pitch on the 1st floor, sports hall, tennis courts, changing facilities and administration areas. A further new five storey, 5000 sq m educational building, adjacent to the Arena may also house a Free School and Sports Academy. An extension to the existing Reebok Stadium will also see a further 3000 sq m of accommodation and new hospitality areas and up to 29,000 sq m of office space in a seven storey ‘Grand Arc’ adjacent to the stadium’s North Stand. If plans for the Free School go ahead, Bolton Wanderers could be the first football club outside the Premiership to have such a facility. Everton FC were the first club to open a similar facility, in September this year and is now home to 14-19 year old pupils who are currently not in school or at risk of exclusion. The proposed development at Bolton Arena will create a regional sports hub for both elite and community sports users, expanding on what is already one of the top tennis coaching facilities in the UK and will create hundreds of jobs, both during the building and operational phases and well into the future. Wanderers Chairman Phil Gartside said that this development was a natural progression from what was the original vision for the stadium back in 1996 when the board’s vision was to produce a combined stadium, hotel, conference and office facility. So far the plans have received cautious approval from supporters and it is hoped that it will secure the backing of Bolton Council when it goes before the planning committee soon.